This will be a brief article about the kind of license you get if you win a Michigan restoration (or clearance) case. If you live in Michigan and you win your driver’s license restoration appeal, you’ll get a restricted license. If you had a Michigan license in the past, but now live in another state, then you will get a “clearance” that gets rid of the Michigan Secretary of State hold on your driving record, which will allow you to obtain (or, in some cases, renew) an out-of-state license. For Michigan residents, an important part of the initial, restricted license is the ignition interlock device that must be installed on whatever vehicle you drive. You do not need to own a vehicle in order to have an interlock installed; you just need to have a vehicle that you can able to use. Interlock units are not a lot of fun, but they beat the heck out of not driving. Costing roughly about $80 per month, on average, they aren’t necessarily cheap, but neither are not cost prohibitive, either. When you win back your Michigan driver’s license, you must drive for the first year on a restricted license with an interlock unit. Just about everyone asks if there is a way around either of these requirements. The simple answer is no; so is the long answer. After 2 or more DUI’s, the Secretary of State’s appeal hearings bureau, called the Driver Assessment and Appeal Division, or DAAD, will mandate that anyone getting back on the road do so under certain restrictions, and with the security of an interlock unit in the vehicle he or she drives. The restrictions are actually very simple, and there are 2 types. The DAAD normally defaults to one that allows you to drive anytime whatsoever, as long as it’s for work, school, necessary medical treatment and support group meetings. People make this complex by asking, for example, if they can take the kids to school, or drive to church on Sunday. The simplicity in this arrangement is that the answer to just about every question that begins with “Can I” or “What about” is no. This type of restricted license is good only to drive to, from and in the course of your work, to and from any school you personally attend, and to any serious medical treatment for you, and you alone, and to support group meetings (like AA), if you attend. The benefit here is that there is no limitation on the hours you may drive, so if your boss calls you at 3 a.m. and tells you to get to work, it’s legal. The problem with this type of license, however, is that there is no driving except for these specified reasons, and there are no exceptions. The other type of restricted license, which should be specifically requested at your hearing, allows you to drive for any reason whatsoever, but only during certain hours, usually like 6 a.m. to 7 p.m., or 7 a.m. to 8 p.m. The hours are very limited, and you may not drive outside of them for any reason whatsoever. You must remember that it is entirely within the discretion of the hearing office to grant a license in the first place, and also to grant one option over the other. This means that you don’t have any ability to “pick” your license; instead you can merely ask for consideration of one option over the other. If you say nothing, you will automatically win the first option, outlined above, that allows you to drive at any time, but only for the specific purposes specified. Anyone who has moved out of Michigan doesn’t have to bother with any of this. The DAAD cannot “give” any kind of license to a non-resident; instead, it grants what is called a “clearance,” which means that it removes the Michigan hold on a person’s driving record. Almost without exception, this clears the way for a person living out of state to get a full license. While the process for a clearance is identical to the process one must follow for a license restoration, there is a general feeling that, because the Secretary of State cannot monitor a person other than to just give him or her a free pass, the bar is set a bit higher in terms of what it takes to win. This is offset by the fact that most people who come back to Michigan for a clearance have usually been sober for a number of years, have established a new life elsewhere, and often have improved everything about their lives with the exception of their driving privileges. Be aware that the DAAD requires serious proof of out-of-state residency. The temptation to avoid a restricted license and the burden and expense of an interlock unit is understandable, so the Secretary of State requires clear proof that a person lives elsewhere. Most people will have a state ID; sometimes, a move is more recent. In that case, a lease agreement, a bank statement and/or utility bill(s) are generally sufficient proof that a person does, indeed, live in a state other than Michigan. 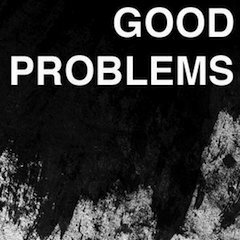 All in all, the reality is that these are good problems to have. In an ironic way, whatever problems having a restricted license with an interlock unit can bring, they are an upgrade from the problems caused by not being able to drive, and really amount to a temporary situation on the way to a full license. It is important to keep in mind to win any kind driving privileges in the first place, you must have really and truly quit drinking. If you honestly have, and I take your case, you’ll get a guarantee that you’ll get back on the road legally along with the forgotten pleasure of slipping a valid license back into your wallet. If you’re genuinely sober and need a license restoration or clearance of a Michigan hold, call me at 586-228-6523 and let’s plan to get things moving.